The Ryland Inn New Jersey wedding venue. Romantic and luxurious; rustic yet refined, the new Ryland Inn is an inspiring setting to mark your new life together. Your total experience at the Ryland will start upon your entrance, past the open pastures and hydroponic farm, a path leads you to the main house, where the restaurant will live. Celebrate at Snug Harbor Unique Wedding Venue Staten Island. One of New York City’s most unique wedding venues is Celebrate at Snug Harbor, a place where tradition meets art. Tucked away in Staten Island, NY our venue is an ideal choice for the couple who wants their wedding celebration to really stand out. Stone House at Stirling Ridge New Jersey Event Venue. Stone House at Stirling Ridge: rustic yet urban, contemporary, yet classic. Nestled in the hills of the Watchung mountains and surrounded by 10 acres of lush grounds, Stone House offers spectacular views of the scenic countryside. 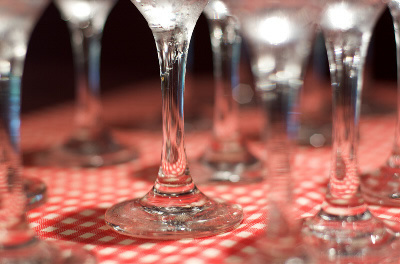 Welcome To Our Newest Web Site For Event Location Rentals And Services. 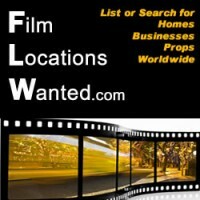 A division of FilmLocationsWanted.com Affordable Event Locations, deal directly with the owners and staff of businesses worldwide who will work with you to plan your perfect occasion. Find and book unique venues for parties, social events, weddings, meetings and more. Click here to add your listing to the event database. Event Locations Wanted lists private owners and commercial businesses offering event location venue rentals to those seeking the perfect space for their occasion. Weddings, honeymoons, private parties, temporary sports or special event rentals, beach condo rentals, corporate party locations, dance and concert facilities, film and photography location rentals are available for review. We provide profile listings with images, descriptions and contact information of owners and businesses who want to rent out their space. Event planners, location scouts and those seeking venues for a variety of projects and occasions have access to review profiles. Our database catagories include hotels, resorts, museums, art galleries, estates, wineries, castles, mansions, farms, warehouses, salons and much more. If you are planning a special event and seeking a unique event space and don’t see it on our growing database of rentals, you can submit a seeking event venue inquiry. Your “I Need A Location Inquiry” will be listed on Event Locations Wanted web as well as be sent out to our community of businesses and private owners who rent property for events. Consider our site when you are on a quest to find the perfect unique or extraordinary wedding ceremony and reception site, unique corporate party location, temporary rentals for a sporting event, submit a location event inquiry and visit our web site often as new locations are posted.